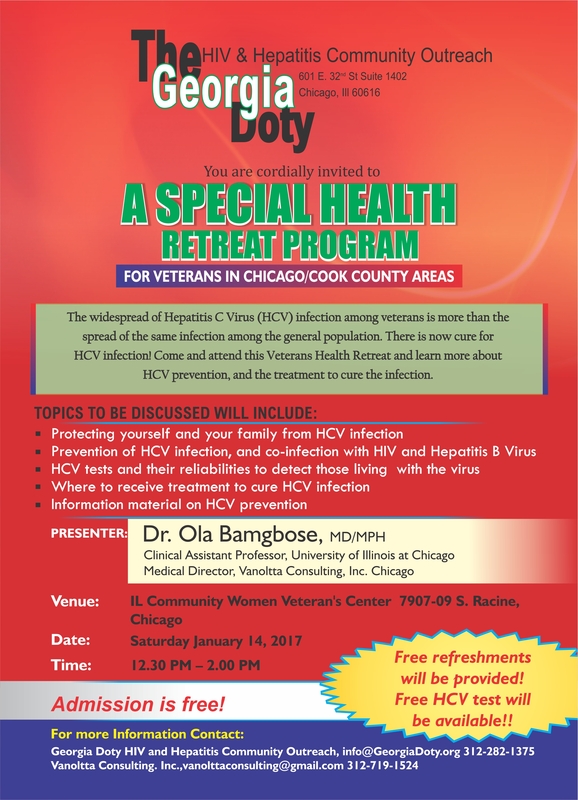 Our Membership & Business Meeting is Saturday, January 14, 2017 at 10:00 a.m. – 12:30 p.m. at the Women Veteran’s Center located at 7907-09 S. Racine Chicago, IL 60620. As you know, we only meet once a month and we are starting a new year! There is much to discuss regarding our programs and initiatives going forward. As members you are also responsible for reviewing the finances and the organization’s plans. We are in dire need of a Recording Secretary! Please be on time and bring a healthy snack! Following the meeting is the HCV Health Care Education workshop. Please invite a guest for the presentation, refreshments will be provided. There are several Birthdays! Remember to send your sisters some love!